Join us for the next FREE NCompass Live webinar, ‘Tips and Tricks for Internship Success’ on Wednesday, January 30, 10:00am – 11:00am CT. Your library has been awarded an Internship Grant! Now what? Time to start planning and preparing for your new intern. 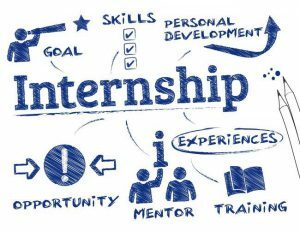 It is very important to select an intern that is the right fit for your library and for the tasks that are planned for the internship. Christa Porter, from the Nebraska Library Commission, will address the planning involved in preparing for a new intern and will share tips to providing your intern – and your library – with a great experience. Topics covered will include: advertising the position/opportunity, intern selection considerations, goal-setting for the internship, introducing your intern to the work of the library, sharing information about education and career paths in libraries, tracking the intern’s progress, and the importance of a good experience for both the intern and the library and how to achieve it. Has your library received a previous Internship Grant? Please join us to share your thoughts so we can learn from your past internship experiences. Presenter: Christa Porter, Library Development Director, Nebraska Library Commission. Feb. 13 – What in the World is Emerging Technology? For more information, to register for NCompass Live, or to listen to recordings of past events, go to the NCompass Live webpage. NCompass Live is broadcast live every Wednesday from 10am – 11am Central Time. Convert to your time zone on the Official U.S. Time website. The show is presented online using the GoToWebinar online meeting service. Before you attend a session, please see the NLC Online Sessions webpage for detailed information about GoToWebinar, including system requirements, firewall permissions, and equipment requirements for computer speakers and microphones. This entry was posted in Education & Training, Grants and tagged NCompLive. Bookmark the permalink. ← Pretty Sweet Tech: To Sync or Not to Sync?